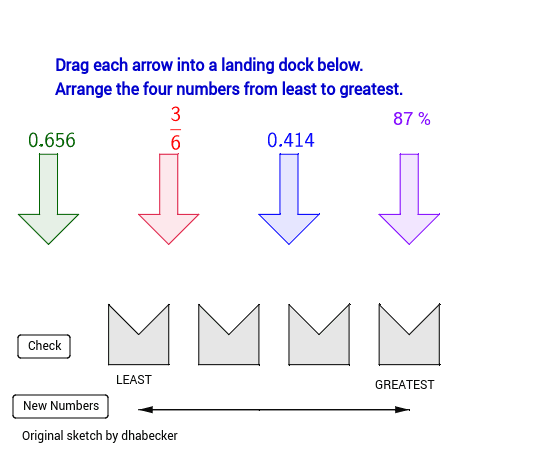 From the great sketch by dhabecker, Arrange fractions, decimals, and percents, http://www.geogebratube.org/material/show/id/15308. Put the four arrows into the correct order, smallest to largest. Press the button to Check your work!